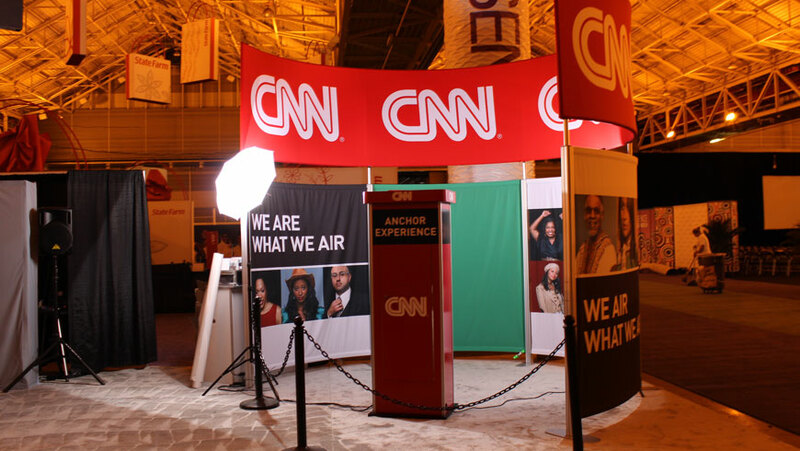 We worked with the agency Haley Miranda to design a unique experience for CNN’s booth at Essence Fest. 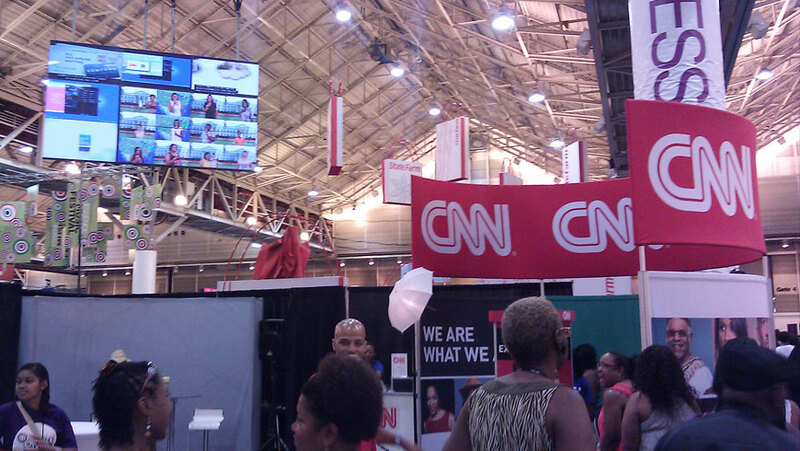 Essence Fest is the largest event celebrating African-American culture and music in the United States. 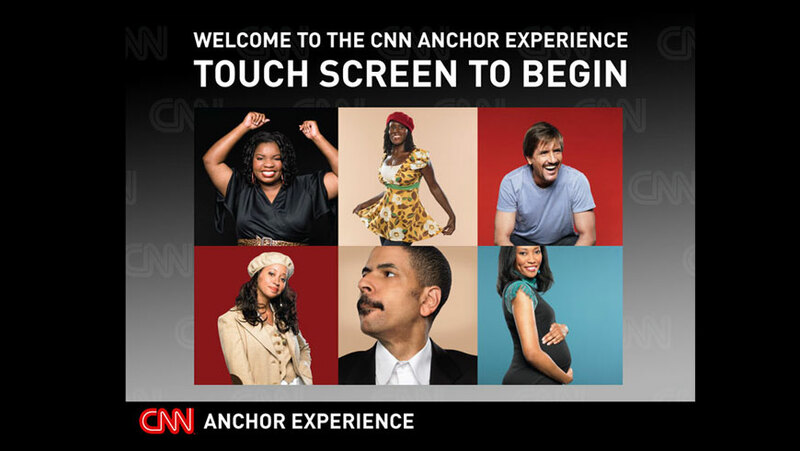 CNN wanted to design an experience where the general public could meet existing celebrity news anchors and also allow patrons to be an anchor person for a few moments. 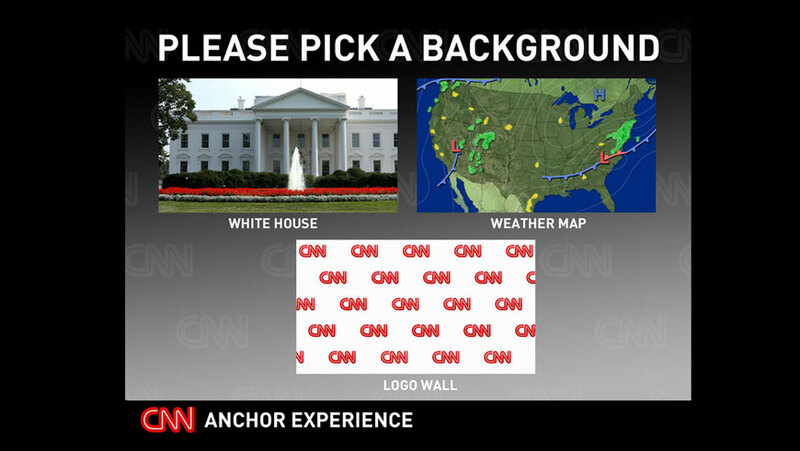 We designed a software program that enabled people to choose one of three common anchor experiences; White house correspondent, weather reporter, and in house CNN anchor. 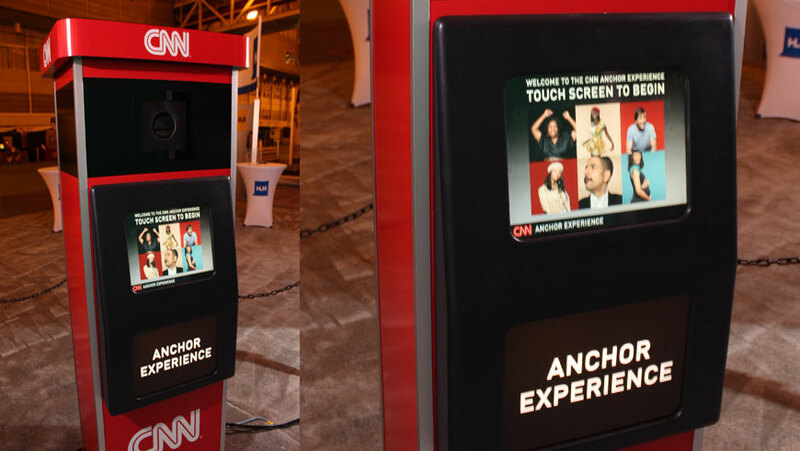 People typed their names and emails into the interface, and then people were given a branded CNN microphone and could see themselves live on video delivering the news. 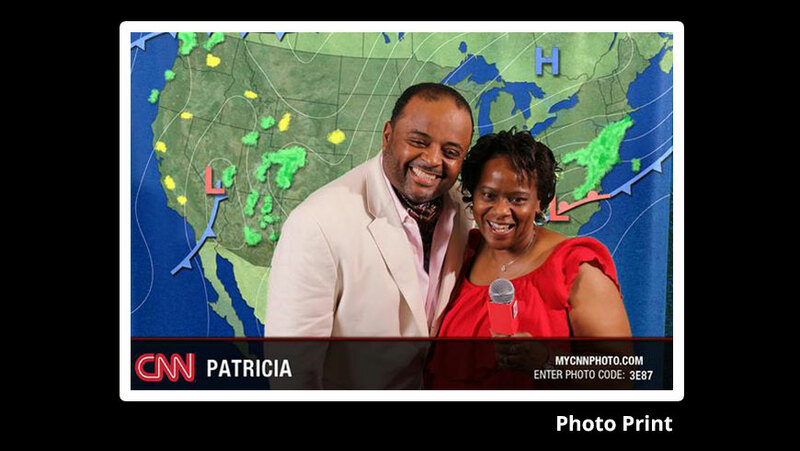 Our software captured a series photos of the action and guests could choose a still to print for a keepsake. 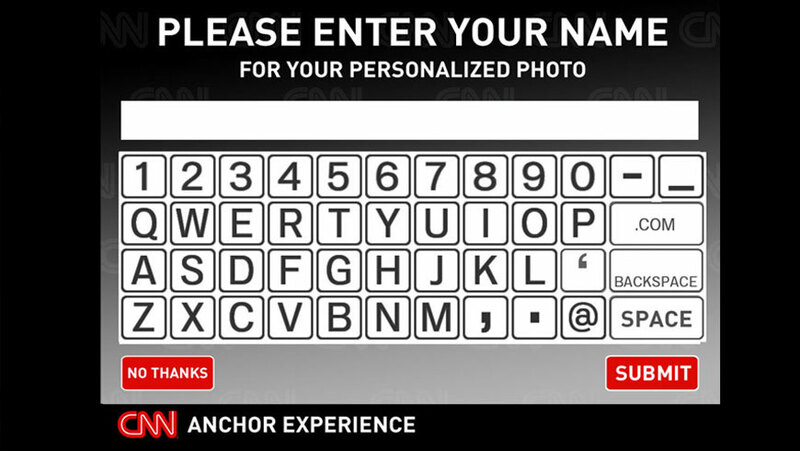 Guest names were dynamically printed on photos, furthering the authenticity of the anchor experience. 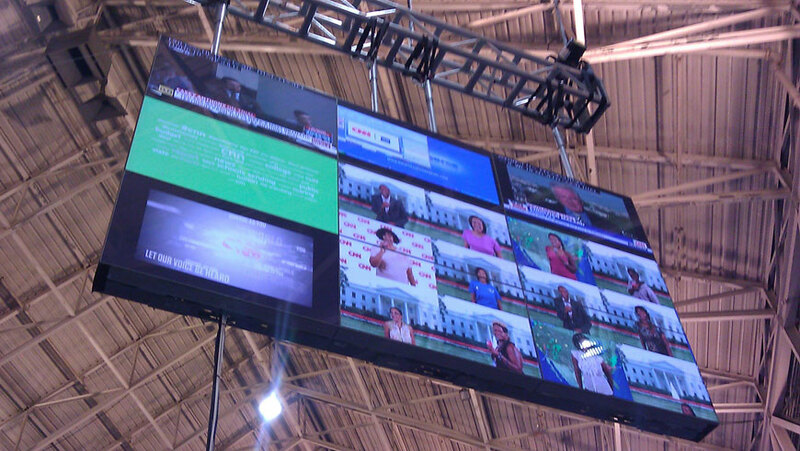 Each users image was additionaly broadcast live to a jumbotron hanging from the ceiling in the exhibition space. 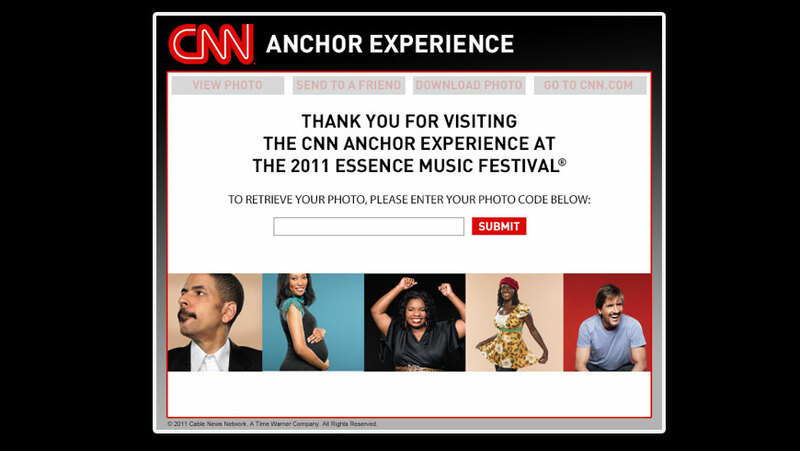 Users entered email addresses and were sent a link to retrieve their photo on the website we developed; mycnnphoto.com. 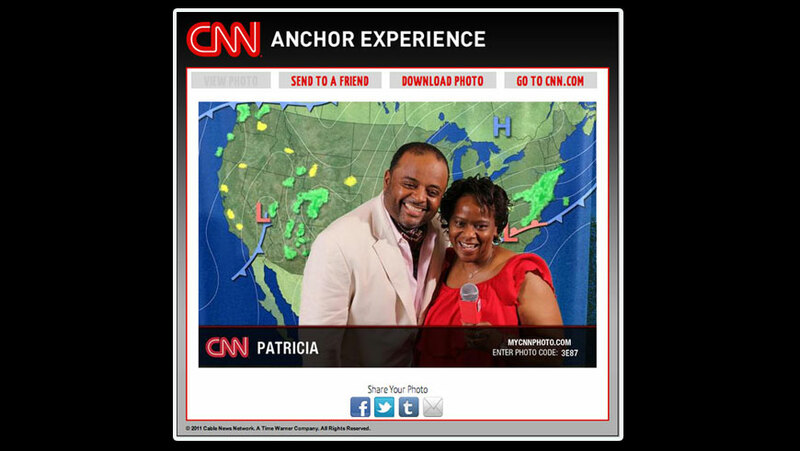 Users could share their photos to friends via email and across social media through the site. 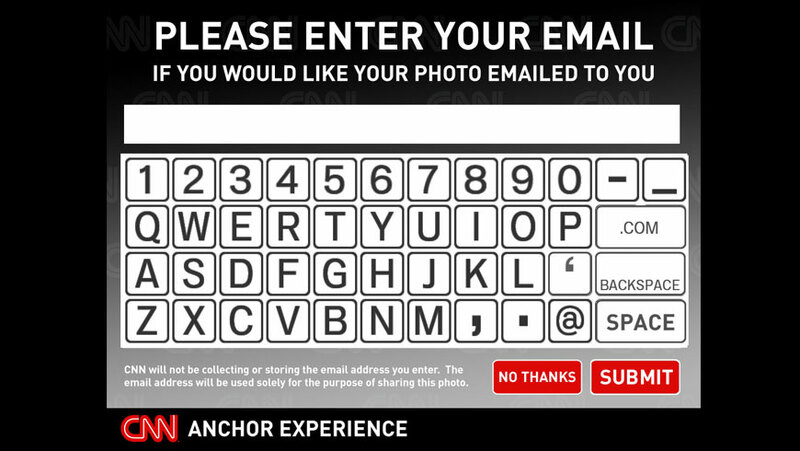 We tracked all of the brand impressions and usage statistics for the client via a custom admin dashboard tool.